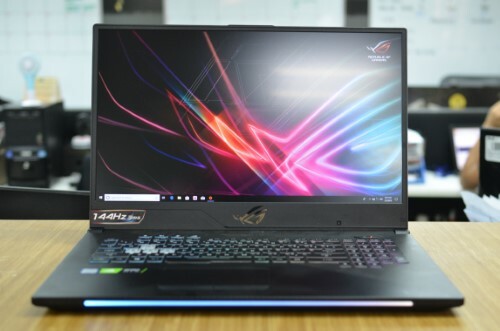 ASUS is giving its ROG STRIX gaming laptop line-up the full RTX treatment and first at the bat for us is the STRIX SCAR II GL704. 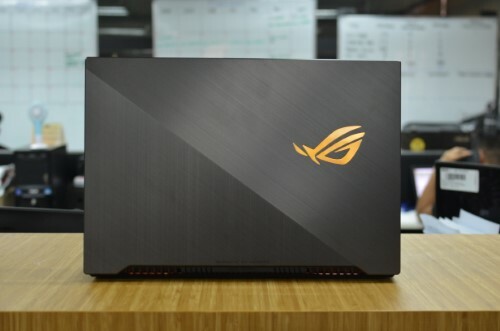 As a quick refresher, ASUS’s ROG Strix gaming laptop line up is geared towards competitive gaming. Hence why there are two sub-branches namely the SCAR, which are designed for shooters, and the HERO, which are designed for RPGs. This way, players have a choice depending on their specialization. 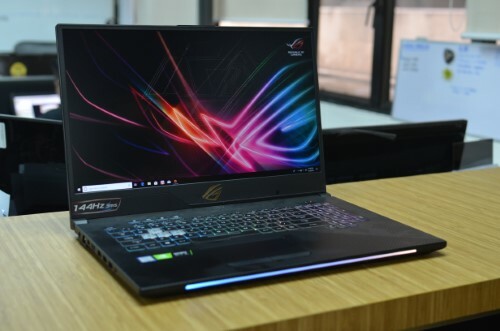 If today’s ROG Strix GL704 SCAR II looks familiar, that’s because this upgraded version sticks to the same chassis as the previous GL704 models. That’s not a bad thing, however, since there wasn’t really anything aesthetically wrong with the SCAR II to begin with. The squared-off profile and flat surfaces give it a very clean and mature look. That latter description harks back to what ASUS said last year about ROG which, to summarize, was: A brand that you can proudly bear in any circumstance. 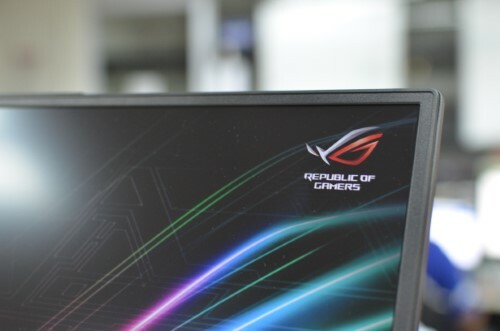 Imagine for a second that the ROG logo isn’t lit, but chromed and only slightly reflective. It’s not all looks too. 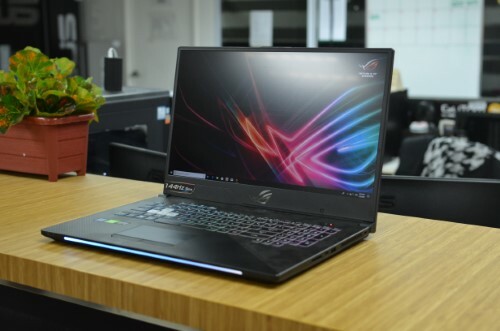 The ROG GL704 SCAR II, despite being a 17-inch laptop, shows very little in terms of flex and give on its chassis and display. That rigidity will hold up quite well to daily use and abuse. The keyboard is of the chiclet variety. But as a chiclet keyboard on a gaming laptop, it has good travel without feeling too mushy. Just to remind you that this is a SCAR model, the WASD keys are highlighted. Aura Sync RGB lighting is also present with presets already available just a few function keys away. 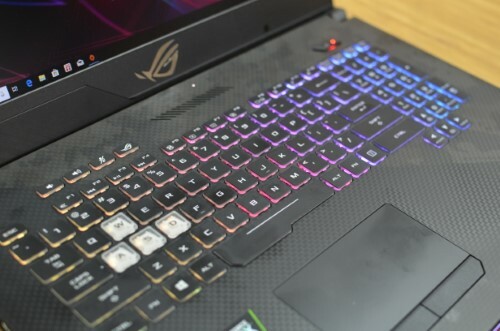 Thankfully, even the dedicated volume, mic, and ROG key above are illuminated so you won’t struggle to find them in the dark. The thin-bezeled 1080p 144Hz display is still present and accounted for. While it hasn’t been clear to me whether it’s a true IPS panel or not, I am hard pressed to tell myself. Viewing angles are quite good and color reproduction is great as well. I was glad to see that ASUS stuck to the 1080p high refresh rate formula and had not opted for an unnecessary 4K display. That’s just a sure way to cut down framerate with very little benefit. I might as well mention that, while the thin bezels are very much a welcome design choice, I don’t think it’s worth relegating the webcam to an awkward position. It’s still at the bottom and off-center so I’d recommend getting a separate webcam for streaming purposes. Unfortunately due to time constraints, we were only able to make time for one run of 3DMark Time Spy and we weren’t able to test any real games, let alone RTX-enabled titles. 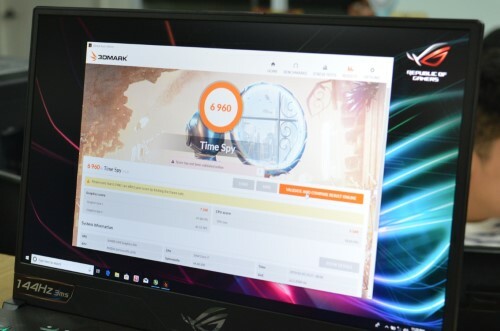 With an overall score of 6,960 and a graphics score of 7,288 the results are not bad considering they’ve crammed a full-fledged RTX 2070 in a laptop. It’s not as high scoring as a well-cooled desktop RTX 2070, but still good all things considered. 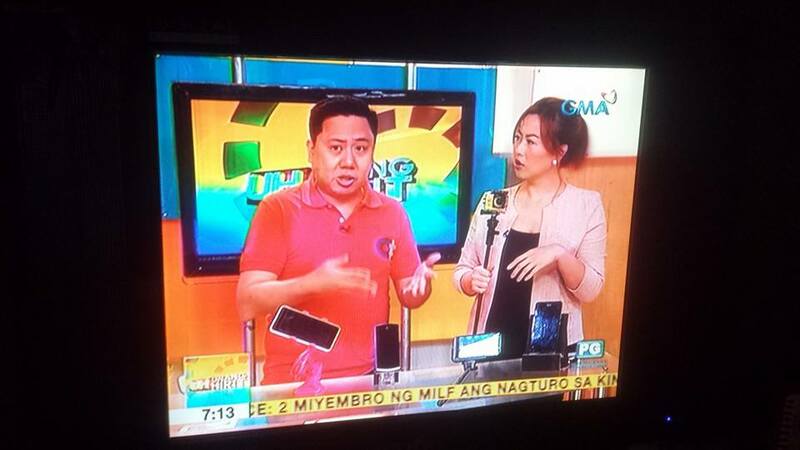 ASUS has done a good job sticking to what works and not messing with a good formula. 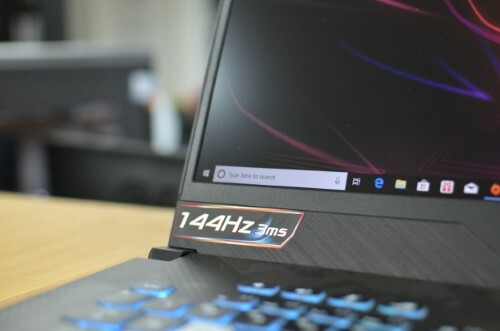 The ASUS ROG GL704 SCAR II is one such example: clean aesthetics, solid build quality, blistering gaming performance, and a display that cares more about the refresh rate rather more resolution. We can’t wait until we can put the GL704 and its RTX horses through its paces in our full review – stay tuned for that!